With exploration expanding further into remote areas of Australia, organisations in the oil and gas industry often have workers deployed in remote locations far beyond the reach of mobile or radio networks. In most cases, where staff go company assets such as valuable plant and equipment follow. When work sites are remote companies face the very real challenge of keeping track of their assets at the same time as monitoring scheduled worker check ins and ensuring all workers are safe with the appropriate SOS or distress call tools. 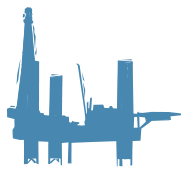 Tracertrak is tailor made to provide oil and gas companies with the solutions they need to keep track of their remote assets and keep their remote workers safe. There may be a requirement to monitor the status of a wellhead from head office that would otherwise take a day of travelling to inspect, or automatically monitor all ‘sked’ check-in procedures for remote workers – whatever it is, Tracertrak has it covered.